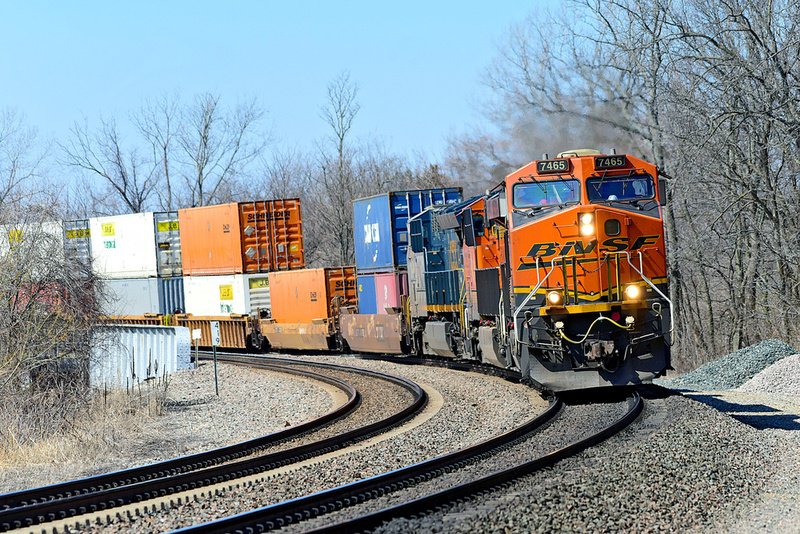 BNSF 7465 East leads a stacker through the curves to Chicago. @jmadhavadas Thanks! Yes, these are 55 mph curves on a route which has many segments of 70 mph limits for freight and 90 mph passenger trains (Amtrak #3 & #4). It is impressive to see them all moving through this area.